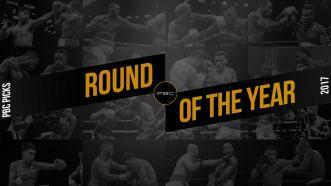 Super lightweights John Molina Jr. and Ivan Redkach are PBC's Best of 2017 Round of the Year as they battled in round 3. 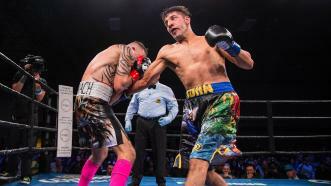 On December 15th, 2017, Super lightweight John Molina Jr. (30-7, 24 KOs) brought the excitement and finished his opponent Ivan Redkach by TKO in the 4th. 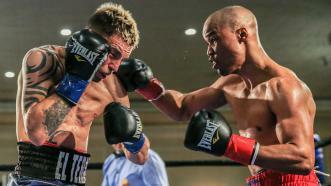 Former world champion Argenis Mendez outboxed southpaw Ivan Redkach over 10 rounds and earned a split decision win. 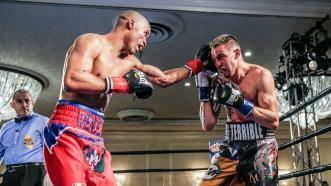 Former world champion Argenis Mendez outboxed southpaw Ivan Redkach over 10 rounds and earned a split decision. 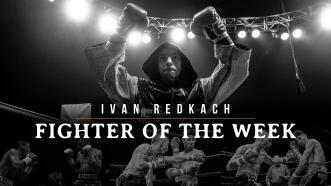 A prospect looking to make his mark in the division, Ivan Redkach (20-2-1) is hungry to bounce back after going 2-2-1 in his last 5 fights. Following his campmate Leo Santa Cruz, he throws punches in punches when he gets going and doesn't stop until he gets a KO. Cruz appeared to be in control of the bout until Redkach shifted momentum in his favor with two late knockdowns, resulting in a split draw. Ivan Redkach was the first to hit the deck in Round 2, then Luis Cruz went down twice late in Rounds 8 and 9. In the end, their 10-round tussle was declared a split draw. The fight seemed to be slipping away from Ivan Redkach, but one big left hand allowed him to regain a grip on things, resulting in a split draw with Luis Cruz.